The realisation that the German aircraft performance was substantially better than the Allied models forced Geoffery de Havilland to liik at an idea put forward by Constsntine Constantinesco, who claimed to have perfected an interruptor mechanism. The mechanism worked, and de Havilland got to work designing a single-bay biplane with a tractor engine upon which the mechanism could be fitted. In an effort to enhance the performance of the aircraft and increase the pilot’s all-round view, de Havilland designed a 27in backward stagger on the upper wing, which brought the cockpit in front of the upper wing’s leading edge. Although under normal test conditions this was acceptable, under combat conditions the pilot had no view above or behind and this was one of the reasons why the aircraft was later relegated to low-level duties. Designed in 1916, the Airco D.H.5 was intended to replace the single seat DH2. The wooden box-girder fuselage, roundd on top with flat sides, was strengthened with plywood. 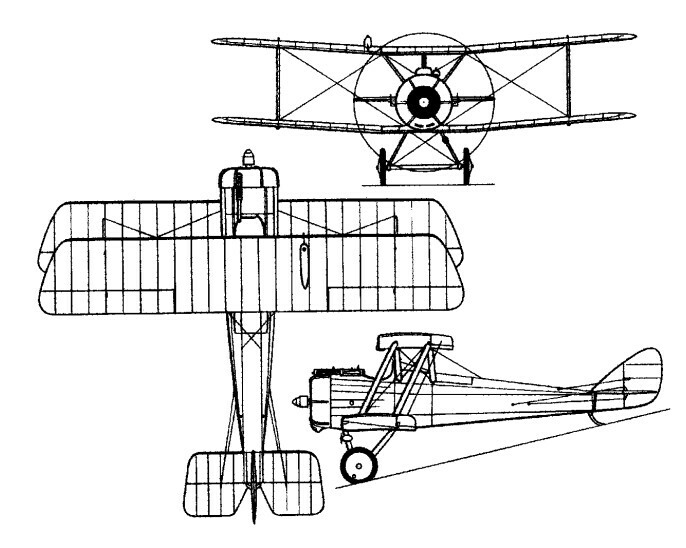 With conventional construction of wood and fabric, landing gear of fixed tailskid type, and powered by an 82-kW (110-hp) Le Rhóne 9J rotary engine, the initially unarmed prototype, A5172, was built in late 1916. It was sent to France for service trials in December 1916, armed with a forward‑firing Vickers gun fixed to move upwards through a 60 degree arc. The prototype was flown by Major Mills first to No.1 Aircraft Depot, and then to No.2 Aircraft Depot before going to the No.24 Squadron, RFC, where flight evaluation was carried out. Initial tests discovered that the DH.5s fitted with the 110 hp Le Rhone engine vibrated so badly that the pilot was unable to read his instruments. At first the blame was laid squarely on the engine, but after other engines had been tried, it was discovered that it was the engine bearer plate that was the problem. Strengthening the plate solved the problem. 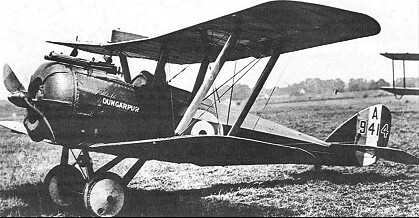 After satisfactory performance, the D.H.5 was ordered into production and 549 were built by Airco; the Dar­racq Motor Engineering company; March, Jones & Cribb; and the British Caudron company. These differed from the prototype in having the fixed 0.303‑in (7.7‑mm) Vickers gun fitted with Constantinesco interrupter gear. The single Vickea machine gun was mounted on top of the front section and offset to the portside f the fuselage, and synchronised to fire through the propeller. It was powered by a 110 hp Le Rhone rotary engine, giving it a top speed of 109 mph. Other problems appeared with the Constantinesco interrupter gear. Both No.24 and No.25 Squadron were out of action. Other squadrons that had the DH.5 on their strength also suffered from this problem, rendering their aircraft non-operational. Over 550 of the aircraft were built: 200 by Airco, and 350 by three sub-contractors: the Darracq Motor Engineering Co Ltd of London; Messers March, Jones & Cribb of Leeds and the British Caudron Co Ltd, London. Deliveries to Nos 24 and 32 Squadrons in France began in May 1917. The DH.5 was the original equipment of the Australian 2 AFC which proved too slow for effective air fighting, but acquitted itself quite well as a ground-attack aircraft during the Battle of Cambrai. 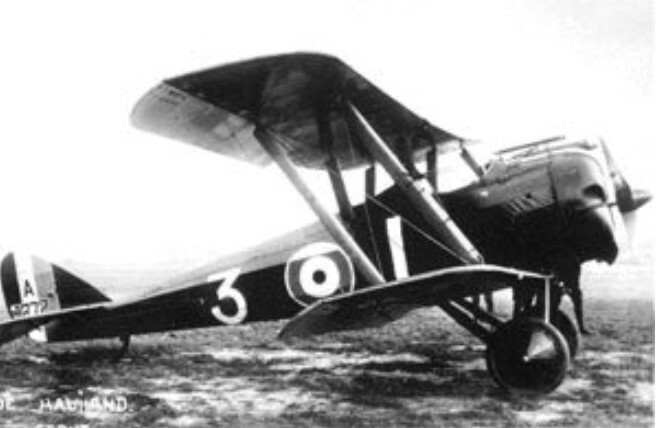 Easily outflown by contemporary fighters at altitudes above 3050m and after suffering fairly heavy losses in November 1917, the D.H.5 was used for ground-attack sorties with four 11-kg (25-lb) Cooper bombs. D.H.5s were put to such use in the battle of Cambrai in autumn 1917. By this time S.E.5as had begun to replace D.H.5s and their first-line service life of eight months had ended by January 1918, after which they were used for training in Britain. 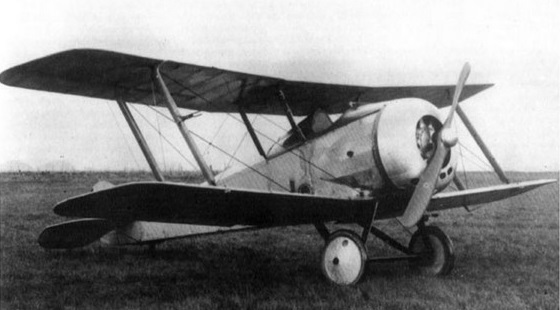 One D.H.5 was experimentally fitted with a 45 degrees upward-angled Vickers, though no D.H.5s were used for Home Defence. Production of D.H.5s totalled about 550, built by Airco (200), and sub-contracted to the British Caudron Company (50), The Darracq Motor Engineering Company (200), and March, Jones and Cribb (about 100). For experimental purposes a single example was powered by an 82-kW (110-hp) Clerget rotary engine.